When i try to build my project it fails because it is not able to find "FacebookSDK/FacebookSDK.h". I was having a similar problem. 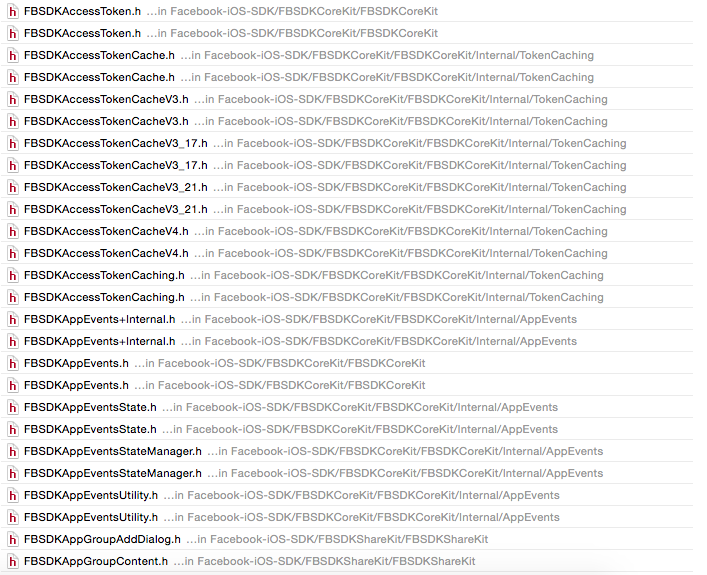 My project previously had not used Cocoapods and I was now attempting to add the Facebook SDK via Cocapods. Based on @MingLi's comment, I replaced all instances of #import <FacebookSDK/FacebookSDK.h> with #import <FBSDKCoreKit/FBSDKCoreKit.h> and things started working again. 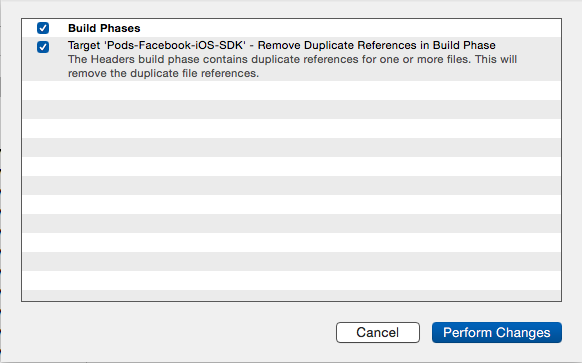 You will also likely have to go through and adjust things that changed between Facebook SDK 3.x and 4.x. For instance, I had to replace [FBSettings setDefaultAppId:123456789] with [FBSDKSettings appId:123456789] and replace [FBAppEvent activateApp] with [FBSDKAppEvents activateApp]. Xcode is sometimes helpful about finding the needed change, if you compile and then click the red dot (in your code) next to each compile error. It can take a good bit of work to sort through all of the changes, you may have to recompile many times. Not the answer you're looking for? Browse other questions tagged ios xcode facebook cocoapods facebook-ios-sdk or ask your own question. How to remove CocoaPods from a project?